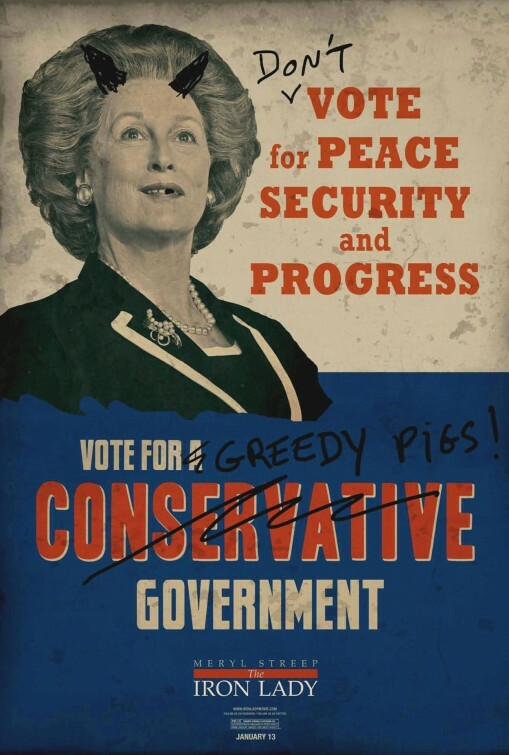 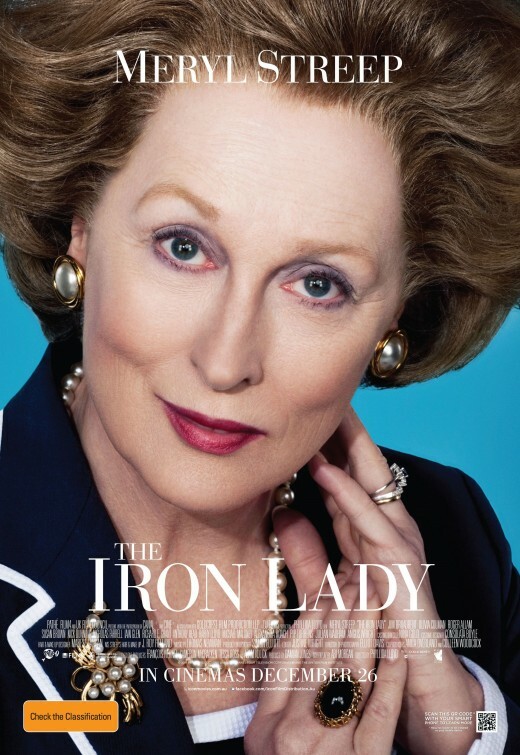 Meryl Streep seems to have developed quite a knack for playing iconic women from history, be it america's culinary legend Julia Child in Julie & Julia, or Britain's first and only female Prime Minister 'Margaret Thatcher' in 2011's The Iron Lady. 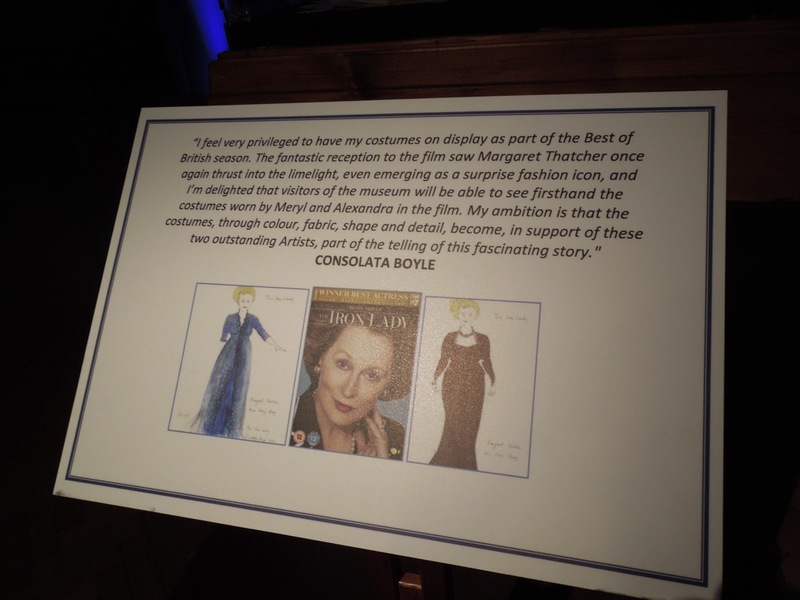 The London Film Museum recently had a special 'Best of British' homage exhibit to the biopic and showcased a fantastic array of costumes designed by Consolata Boyle and original props featured in the movie. 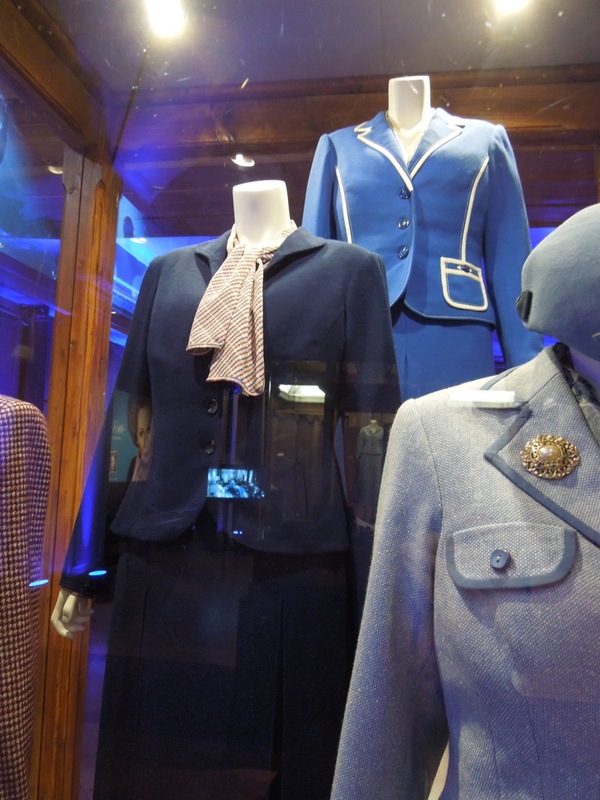 I had a chance to photograph these costumes on May 15, 2012. 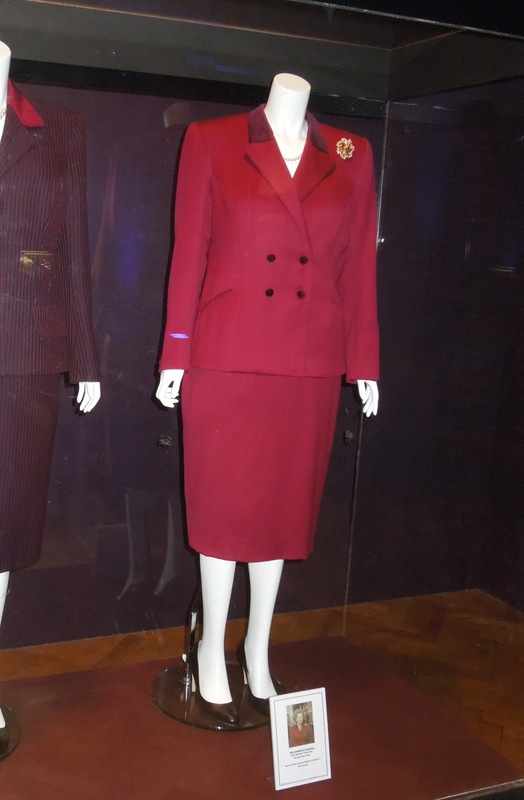 You can't help but feel these fabulous recreations of the iconic Prime Minister's wardrobe, along with amazing aging special effects make-up, helped Meryl Streep transform herself into this legendary world leader and deliver an Oscar-winning performance in the film. 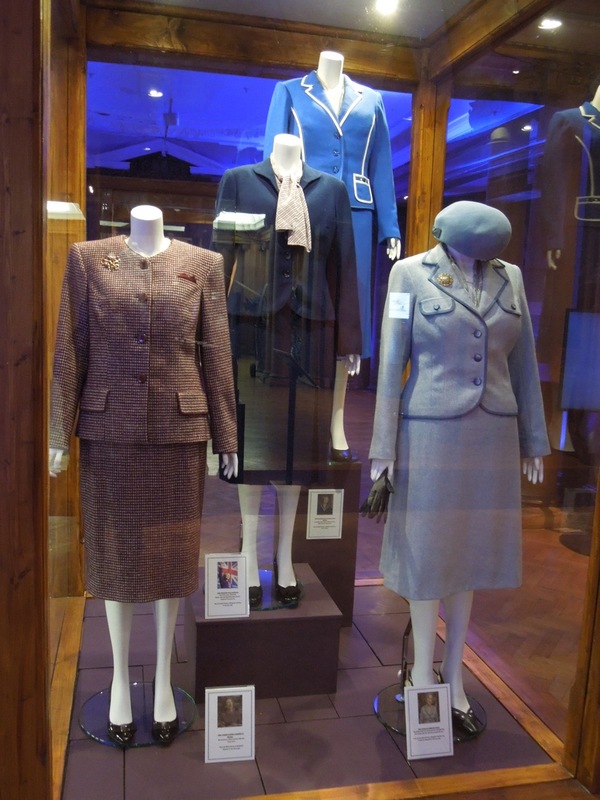 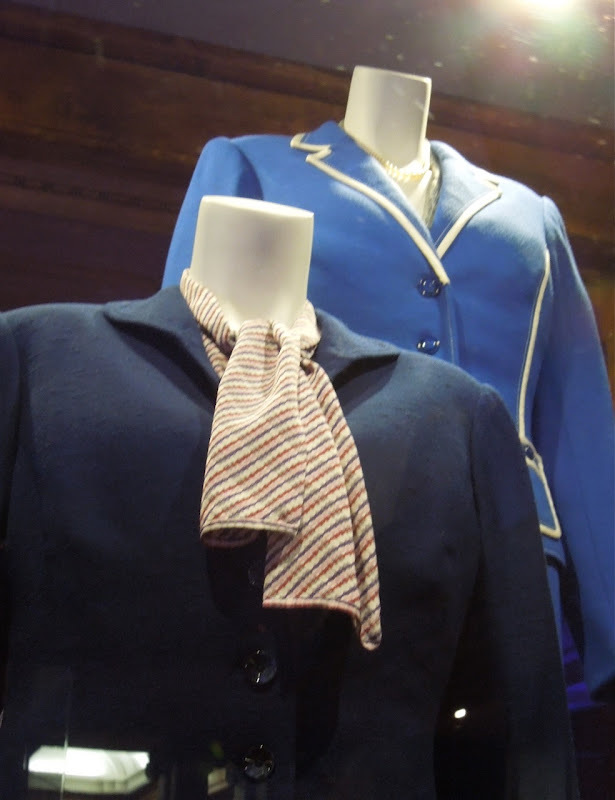 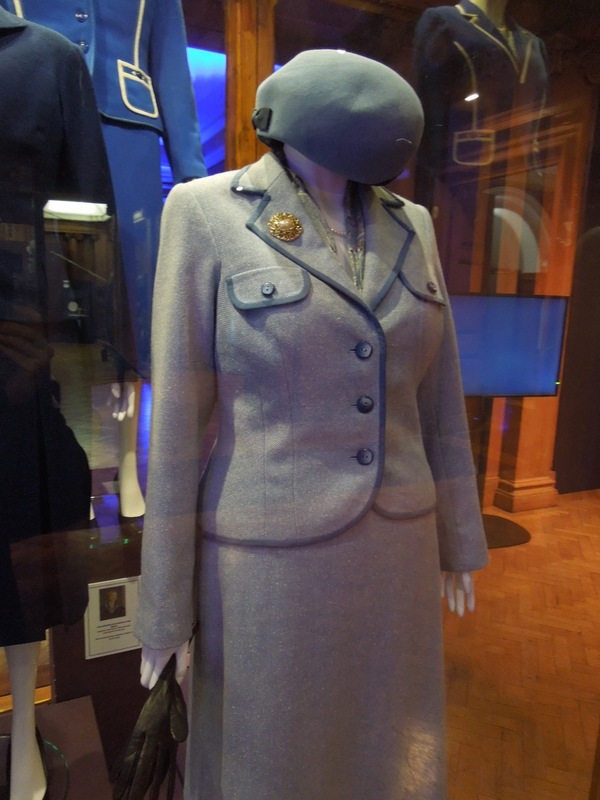 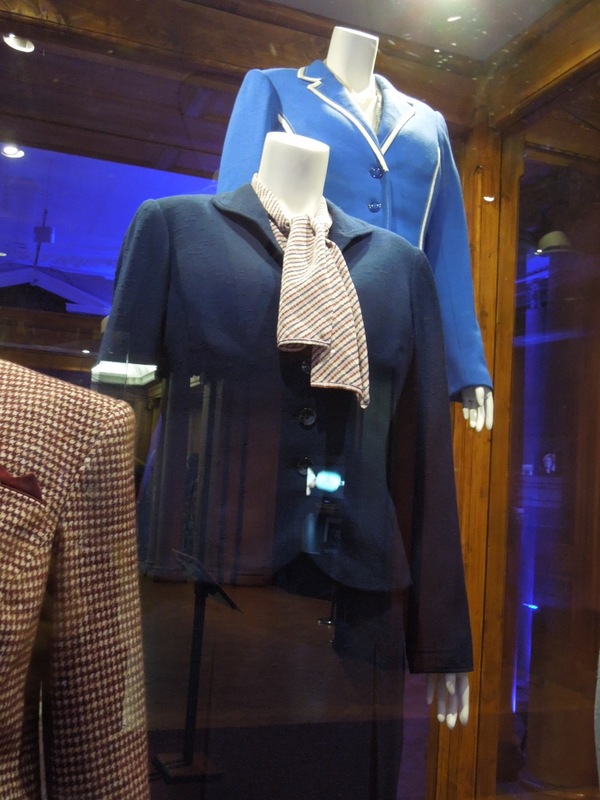 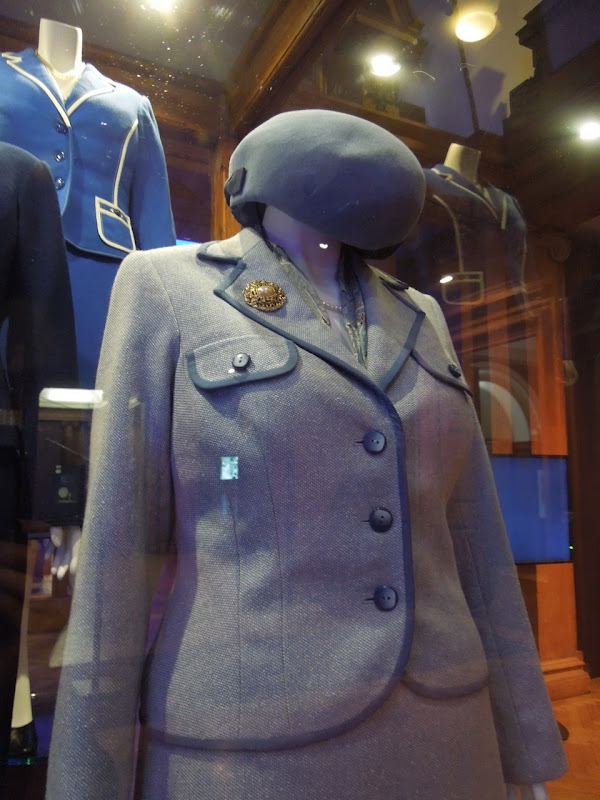 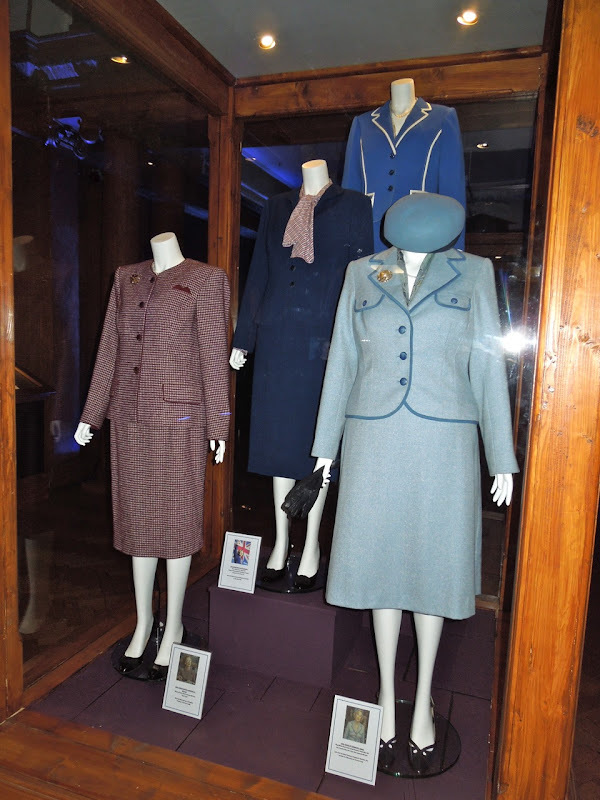 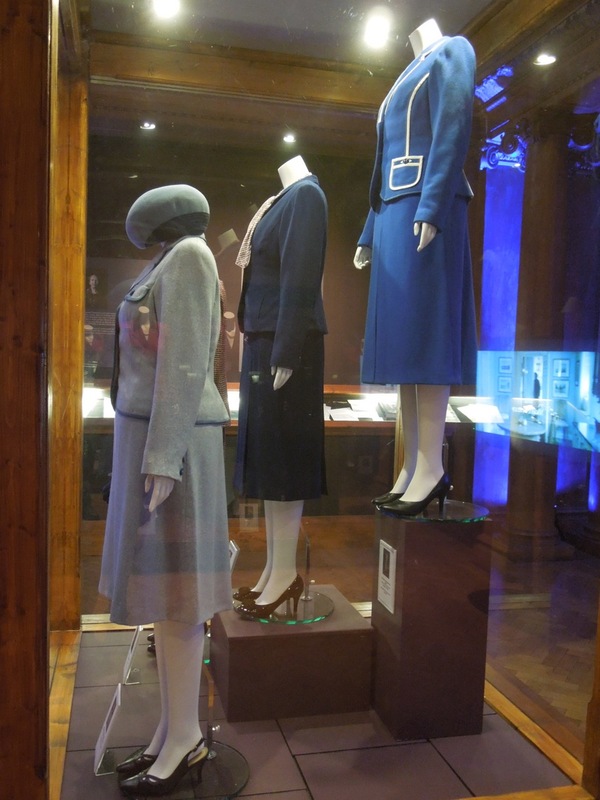 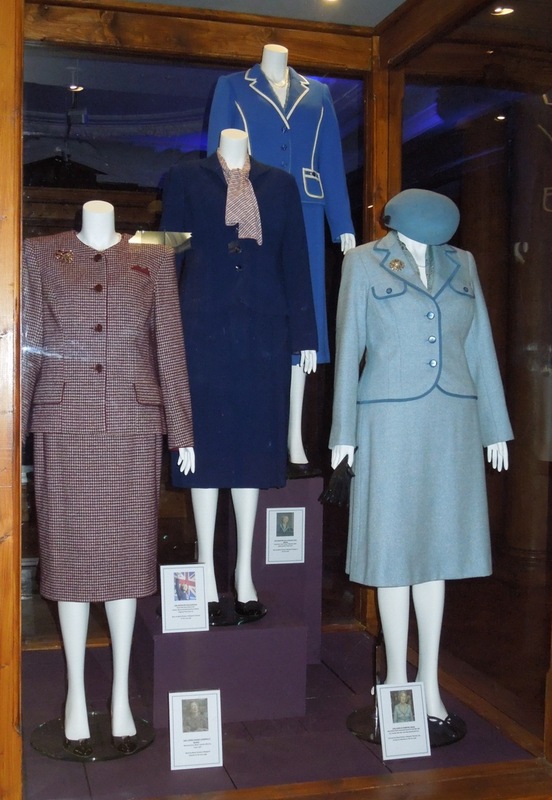 This blue/white fleck jacket suit bound in dark blue silk, paired with a powder blue felt hat, was worn by a younger, less experienced Margaret Thatcher for a 1974 House of Commons debate. 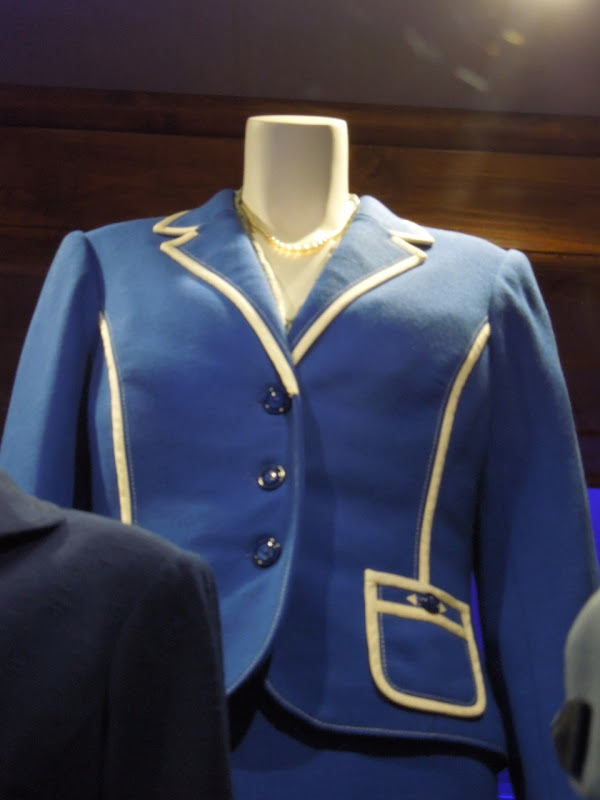 This is one of Margaret Thatcher's trademark blue suits, and pearls, on the Conservative Party election trail that Meryl Streep wears in the movie. 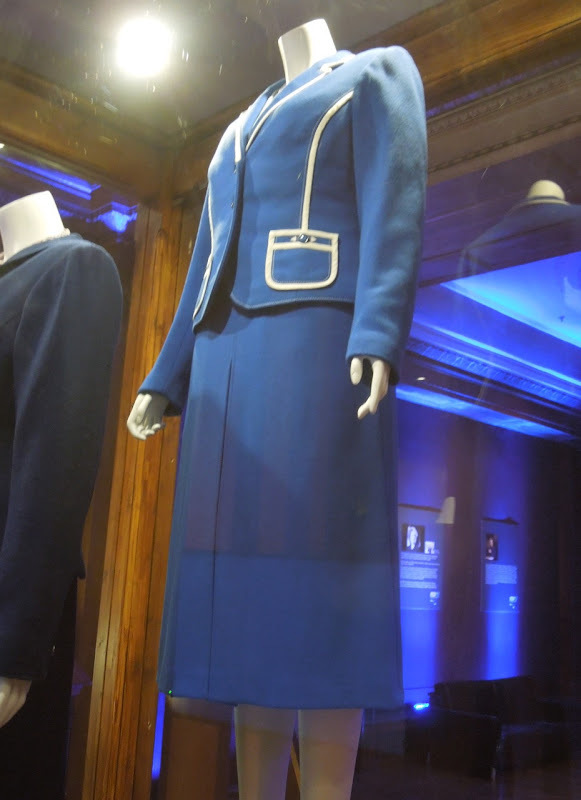 Blue is the colour of the Conservatives in Britain so it's no surprise that Margaret Thatcher wore a symbolic navy wool suit to the Conservative Party Conference in 1984. 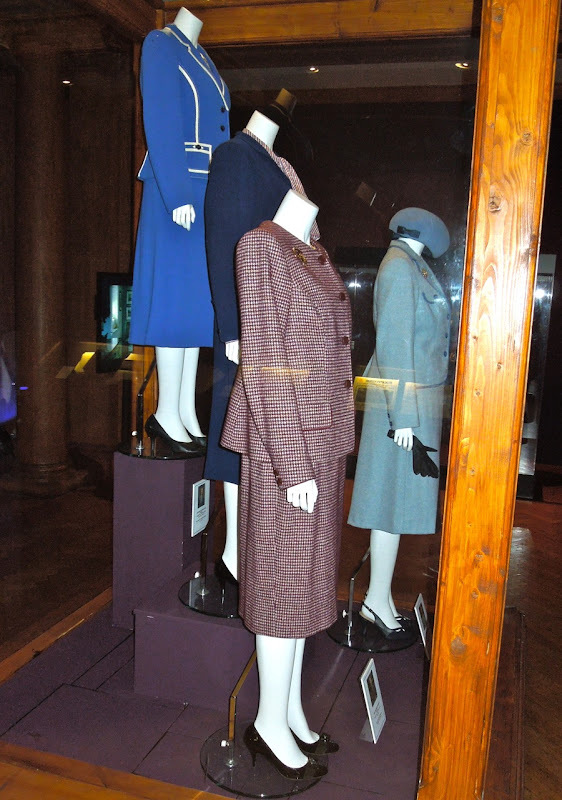 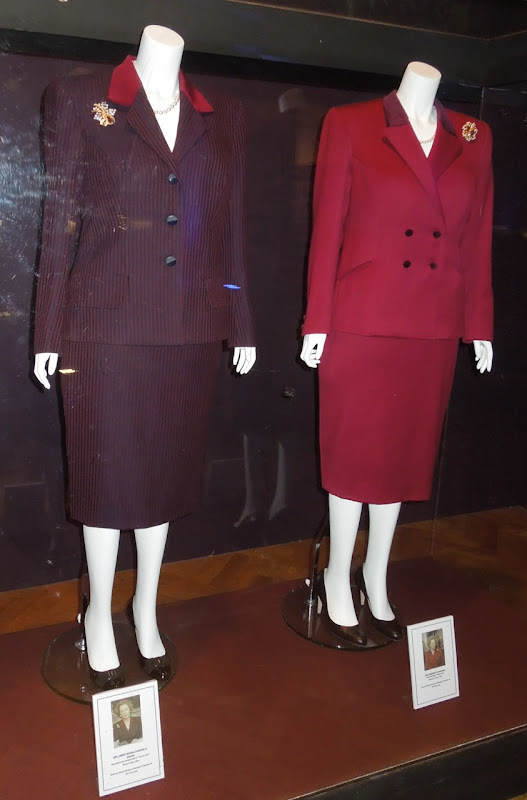 Margaret Thatcher was known for being a formidable politician and Meryl Streep wore these 'power suits' for scenes in Cabinet Room meetings at 10 Downing Street in 1989. 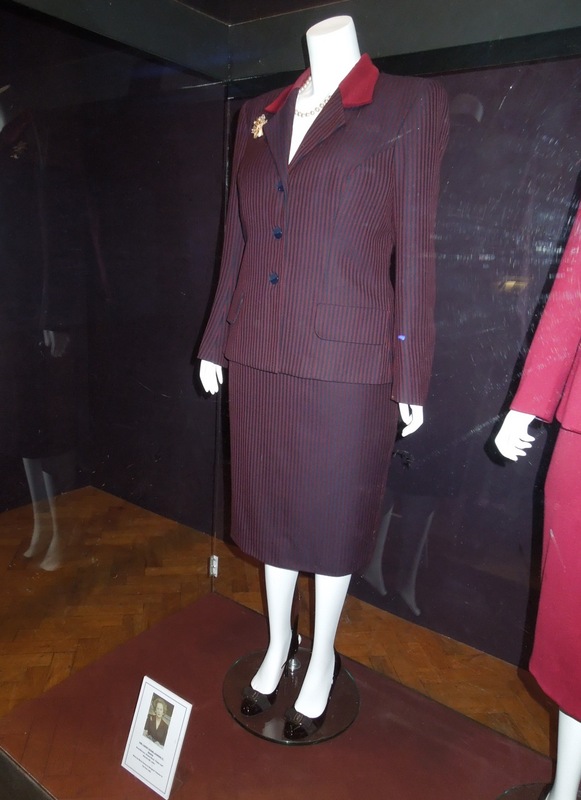 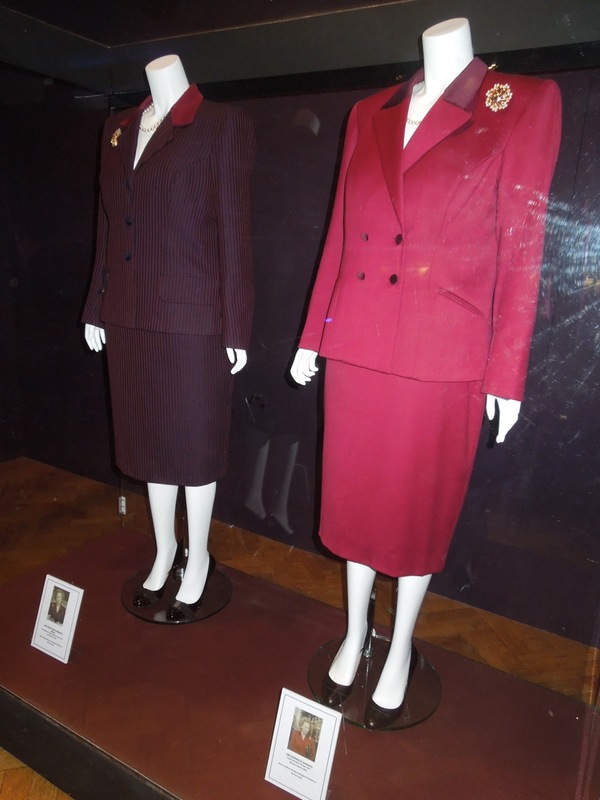 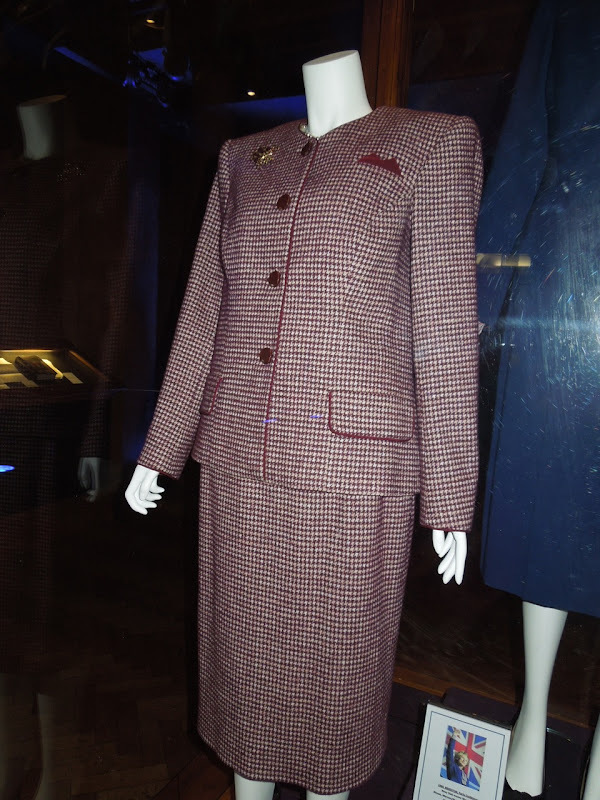 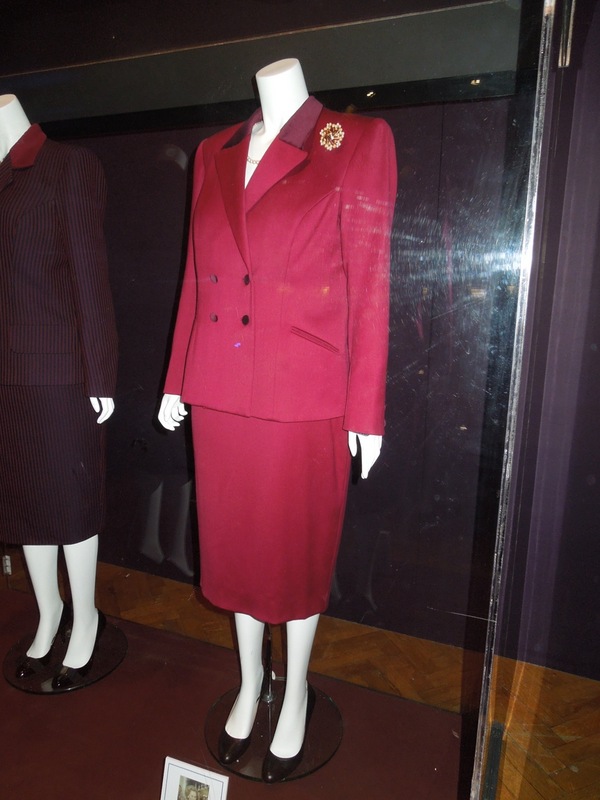 The actress wore this deep red wool 'power suit', with maroon velvet collar, when Margaret Thatcher resigns her position as Prime Minster and leader of the Conservative Party in 1990 and exits 10 Downing Street. 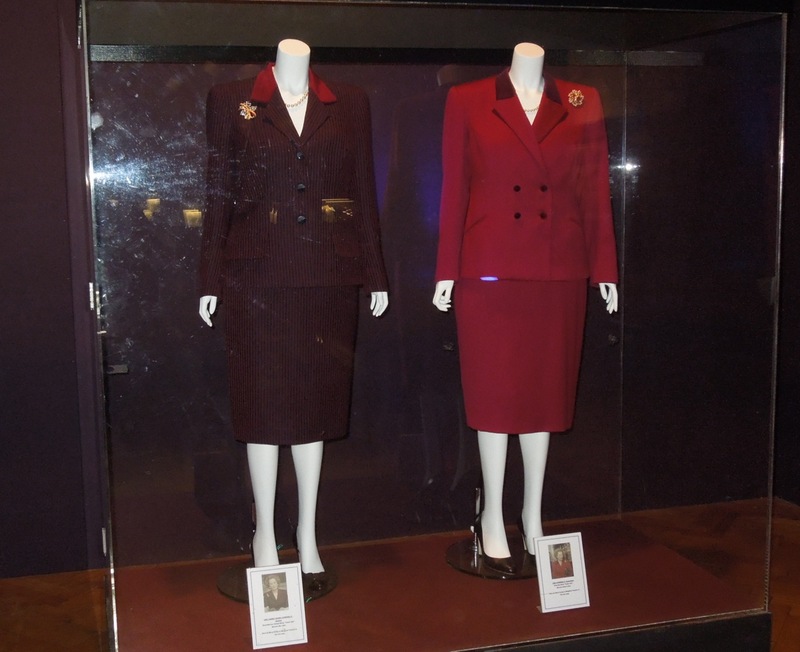 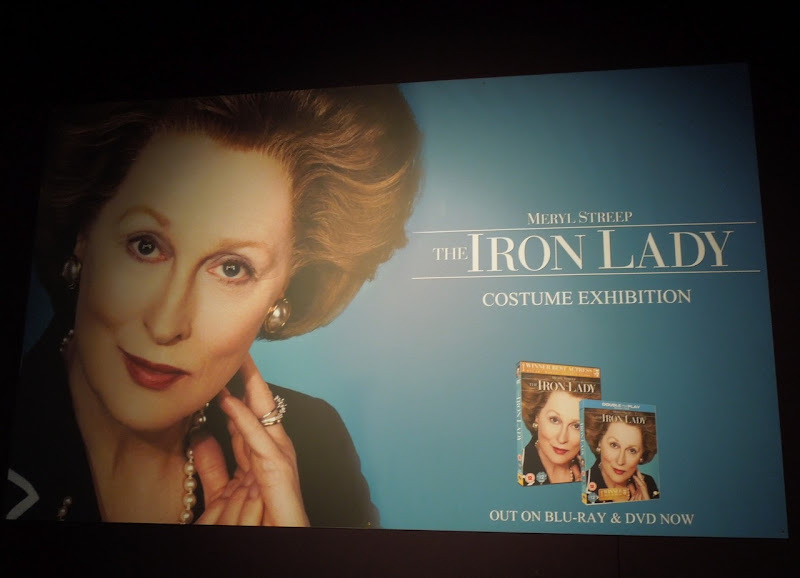 If you like these outfits, be sure to check out the gowns worn by Meryl Streep in The Iron Lady, plus original props from the movie too.